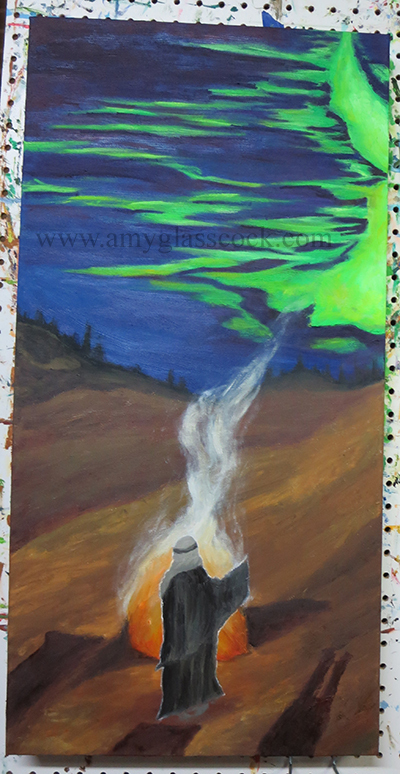 I was asked to help with a painting for a local church's Christmas celebration in December of 2015. 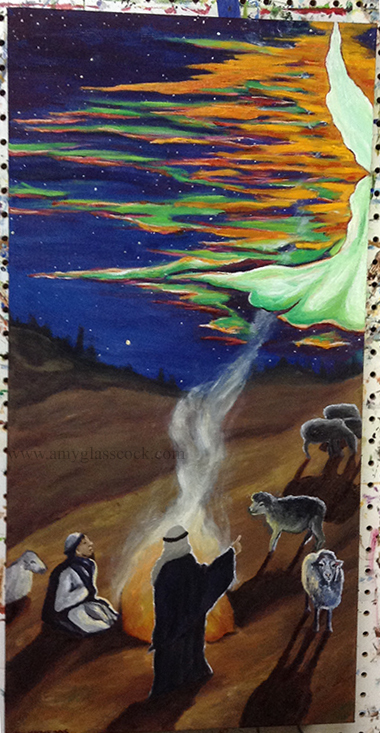 They wanted a huge oil painting of the shepherd story from the Bible's overall account of Jesus' birth. I came up with some intriguing ideas but later decided that I couldn't meet the deadline in the scale they were asking for. 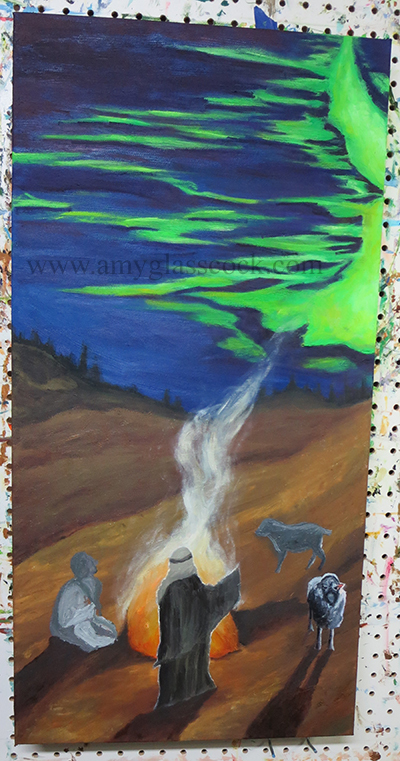 But I decided to do the painting anyway, just smaller, because it will be fun to do a nocturne painting and I also got inspired looking at some of Remington's nocturne paintings of cowboys around a campfire. 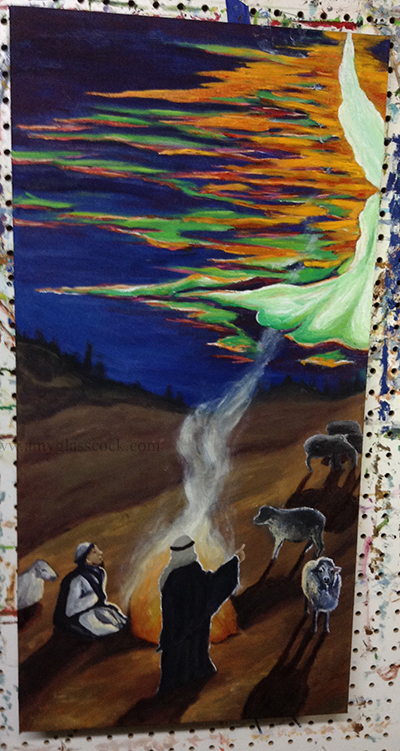 That is how I picture the shepherds. Just sitting around a quiet campfire when, boom, these angels appear and talk to them. And a window into heaven's beauty was before their eyes. Must have been something to see. 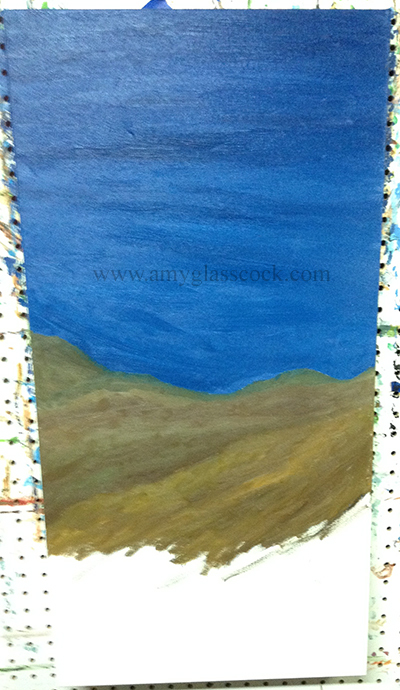 Today I started the dark sky and land. 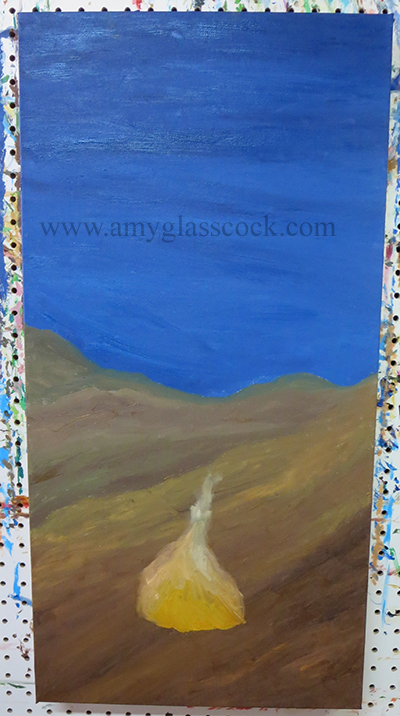 I started the angel today. 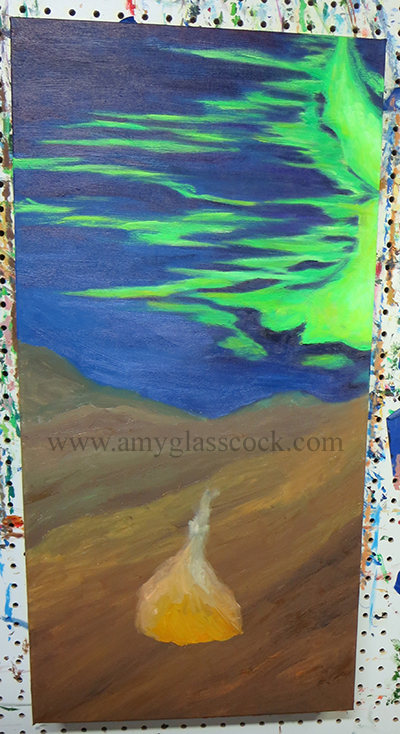 I added in more green in the sky to draw your eye towards the angel and also to give it a sort of aurora borealis look to it. 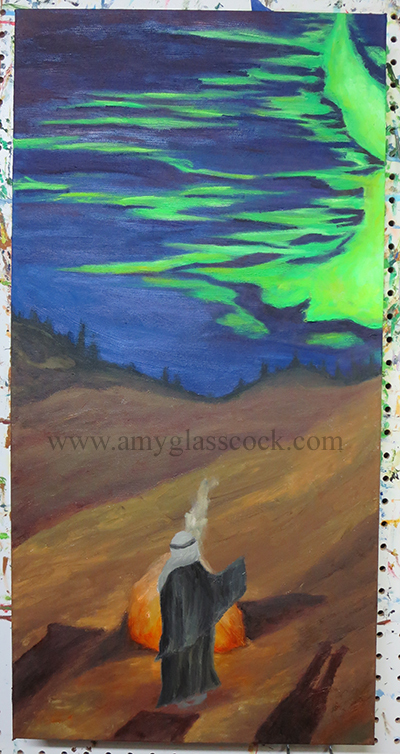 More work on the conrasting colors in the sky today. I added some dark blues and purples to it. 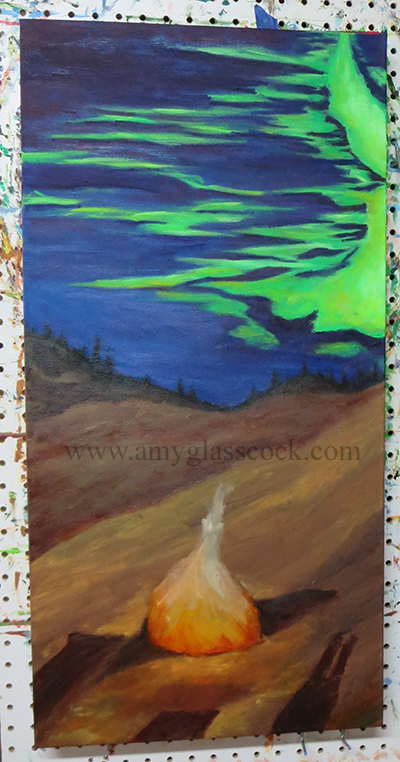 I added in the trees in the horizon and I added in dark shadows on the ground in the background. 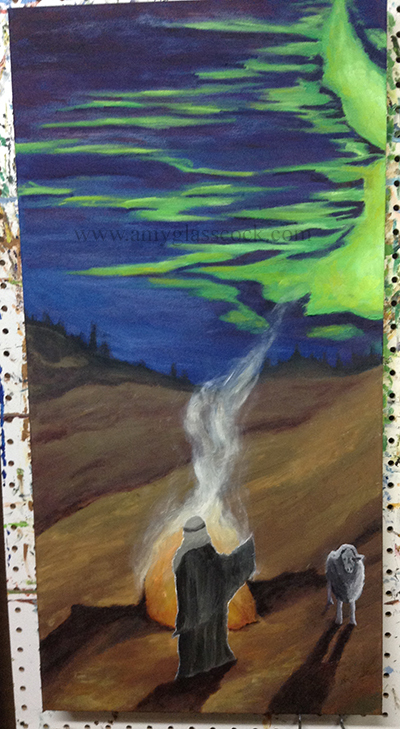 I also started working on more of the details of the fire and the shadows around it. I started adding the shepherd today. 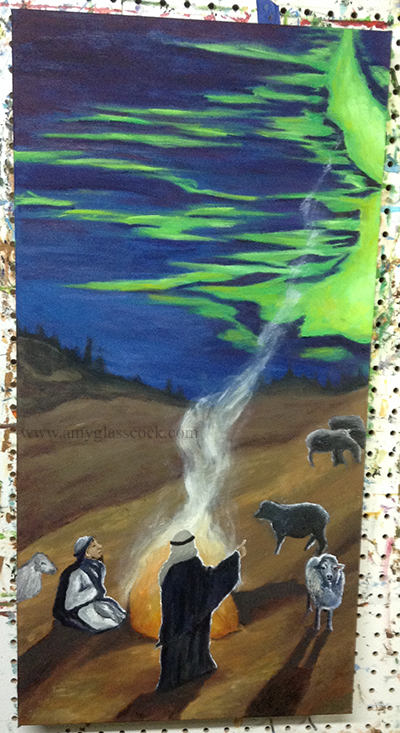 I added some highlights to the shepherd and some smoke above the fire. 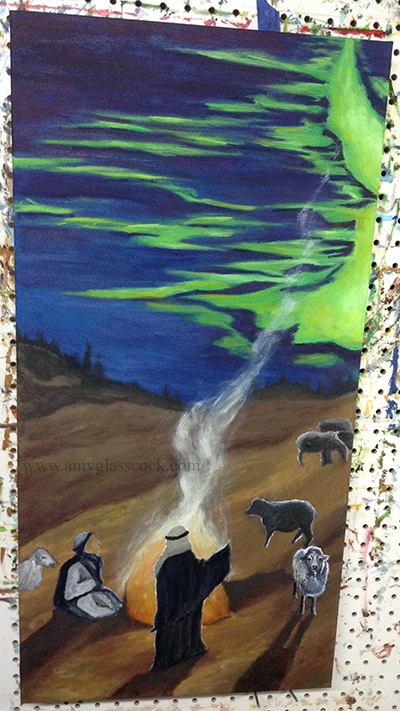 I added the first sheep. 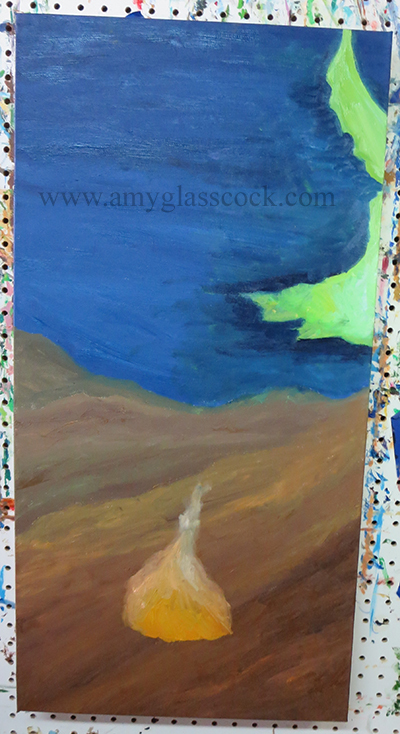 I worked on the sheep more today but it still needs a lot more work. 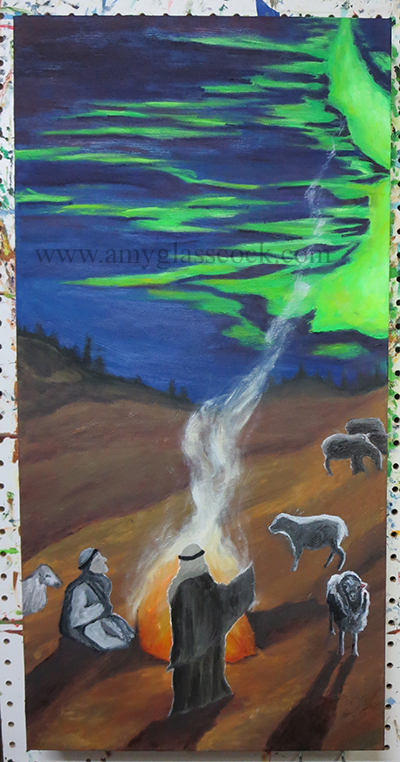 I started adding another sheep and shepherd today too. 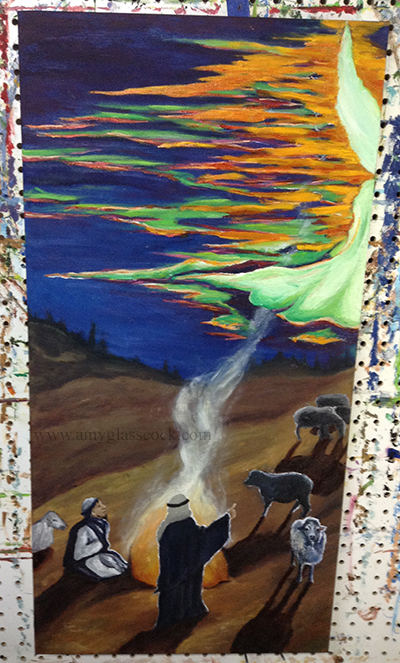 I added another shepherd and some more sheep. 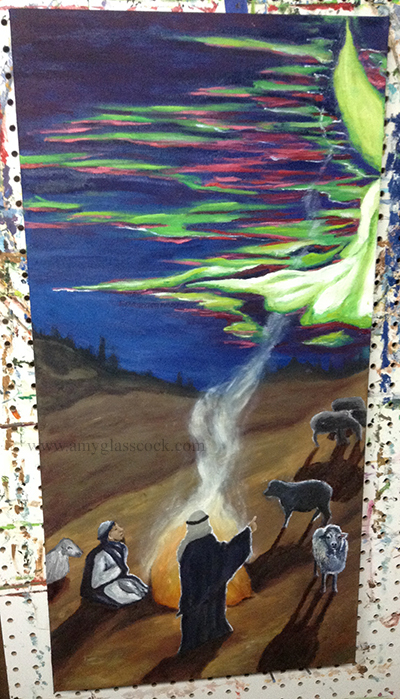 I added more white around the shepherd to show the light coming from the angel. I added some pinks and purples to the sky today. 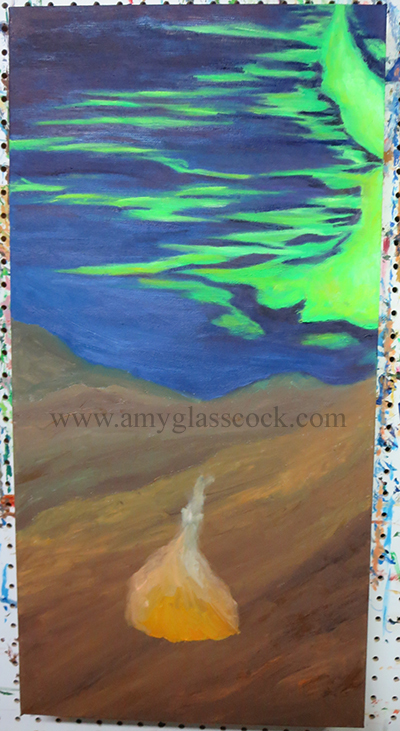 I worked on the angel more and a added a little white to the sky. I decided to add some orange drama to the sky. 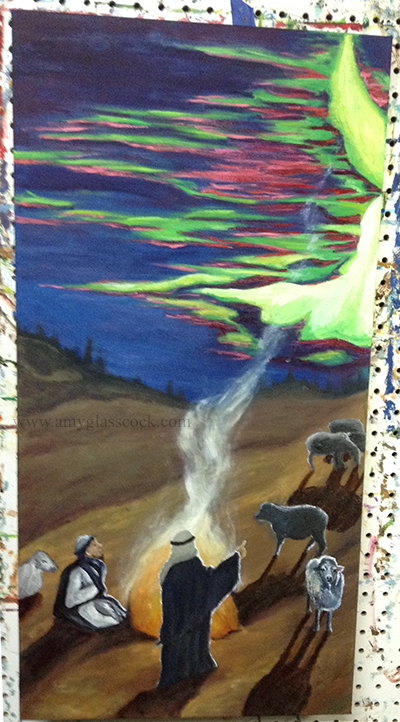 I aded some warm shadows to the sheep and shepherds to show the fire light reflecting off of them. I am finished! I aded the stars today and a red outline around the angel.